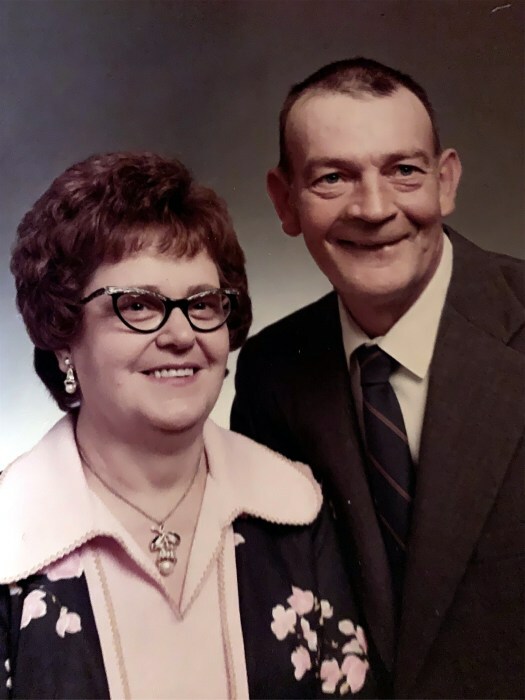 Eva Mae Harig, age 92, formerly of Midvale, Ohio, died late Tuesday evening, November 13, 2018 in the Cleveland Clinic Union Hospital at Dover. She was born January 13, 1926 in Dover, Ohio and was the daughter of the late Elbert and Nettie Ann Bates Stanfield. In addition to her parents, she was preceded in death by her husband, the late Frank Perry Harig, Sr., who died December 27, 1977, her step-mother, Myrtle Stanfield, a daughter-in-law, Linda Harig, a sister, Minnie Christine Talbot, and a granddaughter, Carrie Mae Harig. Eva Mae was primarily a homemaker and formerly attended the Midvale Church of God. She was a member and Regional Queen of TOPS and enjoyed playing cards. One of her special gifts was that she found joy in visiting residents in area nursing homes who otherwise had no family or visitors. When she lived in Midvale, she was know by everyone in the village and they referred to her as "Grandma". She is survived by a son, Frank Perry Harig, Jr. of Mineral City, OH, a granddaughter, Mrs. Laurie (Stewart) Johnston of Massillon, OH, a great-granddaughter, Hayley Johnston of Massillon, and a nephew, John Talbot of North Carolina. No formal funeral services are scheduled and a private burial will take place in the Roxford Church Cemetery near Dennison. The Baxter-Gardner Funeral Home at Sherrodsville is handling arrangements. To leave an online condolence message please visit the funeral home website.